Choose a comfortable, well-equipped, air-conditioned garden-view room, with or without a kitchenette. Lily Pond Cottage is also a traditional Saban cottage with lily ponds in the garden and an outdoor gazebo overlooking the ocean. 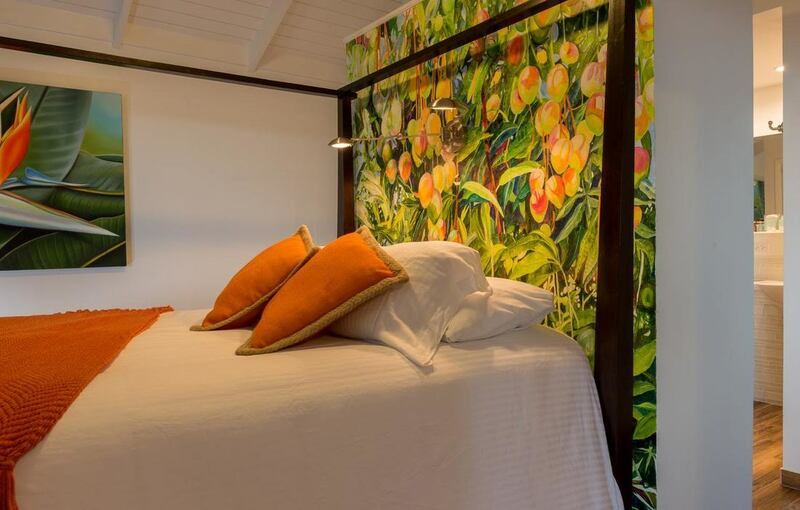 ​Mango Suite has its own deck area, and is surrounded by beautiful gardens and a gorgeous mango tree. ​Flossie’s Cottage, a traditional Saban cottage with an extensive private deck area and Jacuzzi.